Ireland has no shortage of small towns and villages and within these towns and villages, GAA is no laughing matter. So when a local club decided to have a night of entertainment in order to raise money to make changes to the local pitch, they did not disappoint. Anyone who follows trends or pop culture have surely heard of a lip sync battle. Pitting celebrities against each other to put on a performance of a lifetime while miming to some of the best songs out there. It became a craze; it was complete entertainment. But this is no longer just an American television show. 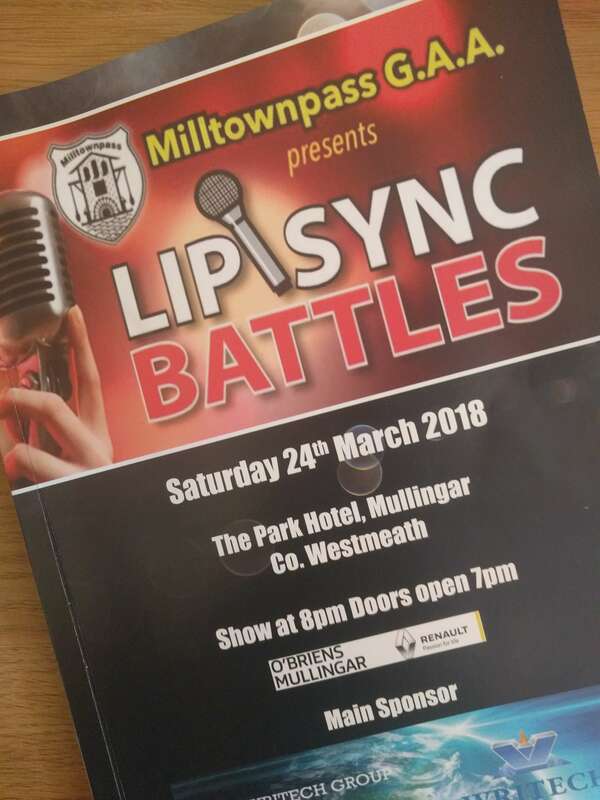 The village of Milltownpass, located in the county of Westmeath decided this was the perfect way to raise funds for the Gaa club and that is just what they did. The majority of the performers worked tirelessly from the new year up until the night of the show which was at the end of March. 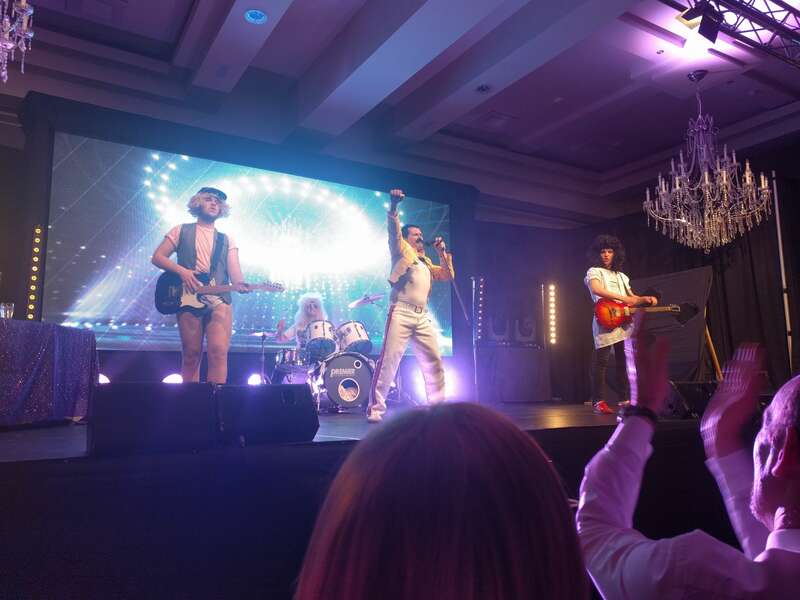 With the help of local organisers, sponsors and Lip Sync Battles Ireland they managed to pull off a night full of music, dancing and a lot of laughs. 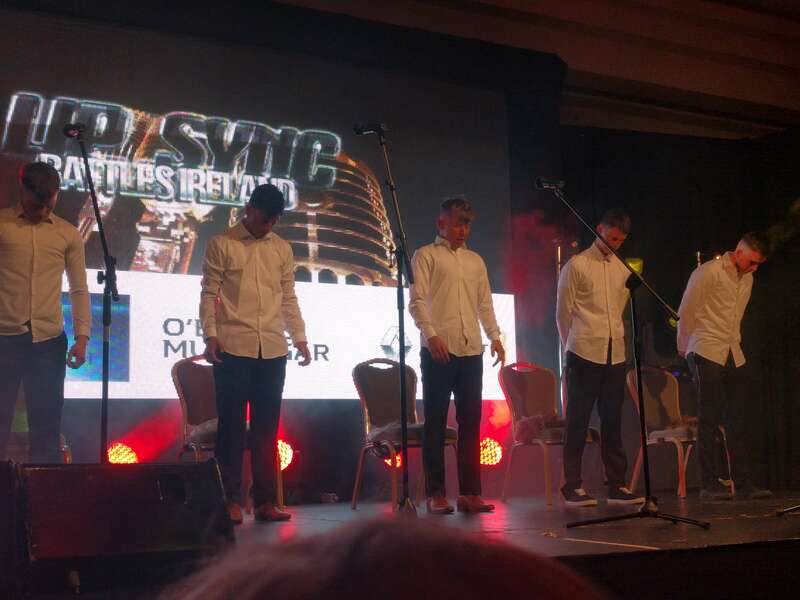 On the 24th March groups of local Gaa players and a variety of residents took to the stage in the Mullingar Park Hotel to put on a performance of a lifetime. From Queen and Westlife to Tom Jones and Rihanna; just a few of the names present on stage that night. The night was an overall success between filling up all the chairs on the night to sold out raffle and fantastic auction at the end. The competition was fierce and although the judges gave their own thoughts it was the audience who had the final say. ‘Scrambled Legs’ were the overall winners of the night with their Grease medley. Overall the event was a great boost for community spirit which showed on the night.